Jerry's dad looking on as cars are loaded at the mine. 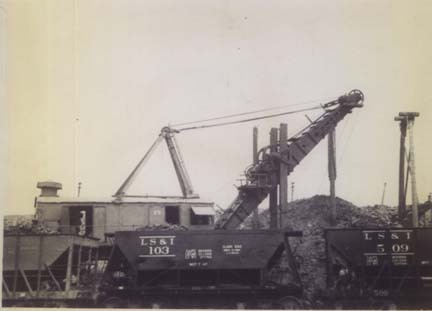 Jerry's dad used to work on the steam shovels at the mine starting in 1921. This photo was taken around 1946. 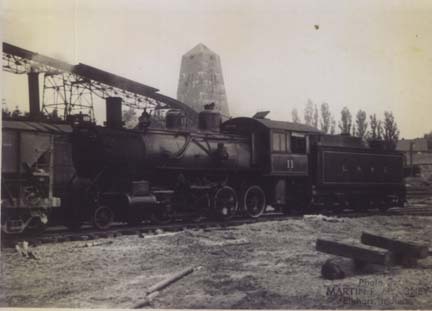 LS&I #11 with the mine shaft in the background. 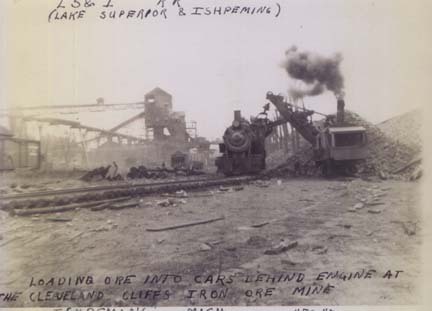 More of the same with the elevated ore crusher in the background. 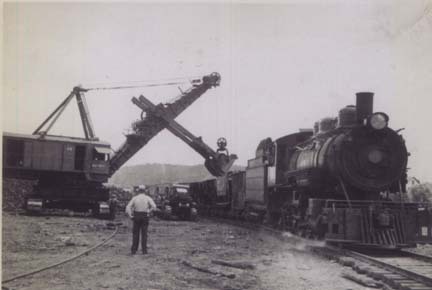 LS&I ore car #103 being loaded.